Withholding Tax is a required feature if you do business in Thailand (and as I know in many other part of the world), yet we found it not available in many standard ERP packages. 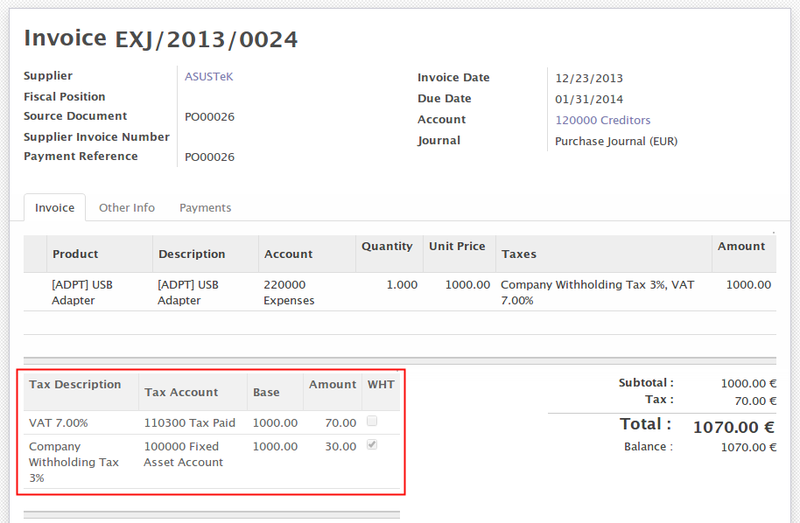 Ecosoft has developed an extension to accounting module which will make it comply with Thai Withholding Tax rule and is now freely available at http://apps.openerp.com (search for account_thai_wht). When an organisation render Services from vendor or provide services to customer, there will be withholding tax payable or withholding tax receivable occur in business process. The tax will be withheld from the full amount of service price to pay to the Revenue Department on monthly basis in case of Tax Payable and to be credited on Corporate Income Tax at the end of year in case of Tax Receivable. Following is the sample case we will use to explain how it works in this tutorial. As you will see, for Withholding Tax, although specified, will not deducted yet, as it will be so in Payment. 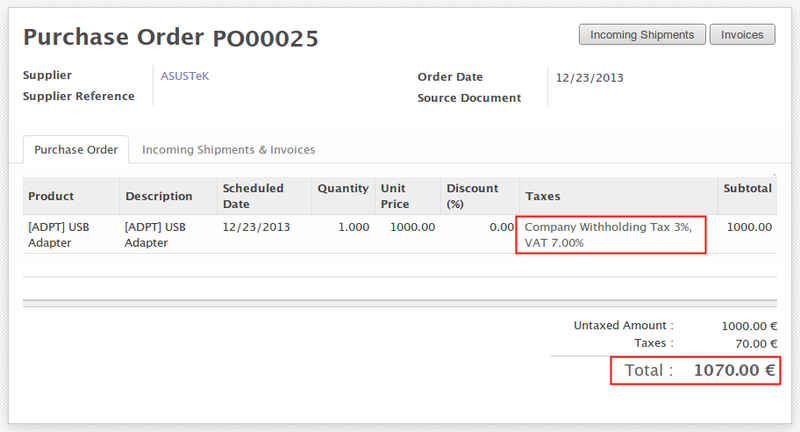 Once Purchase Order is confirmed, and Invoice is created, you will see in the invoice all the detail about VAT and Withholding Tax. 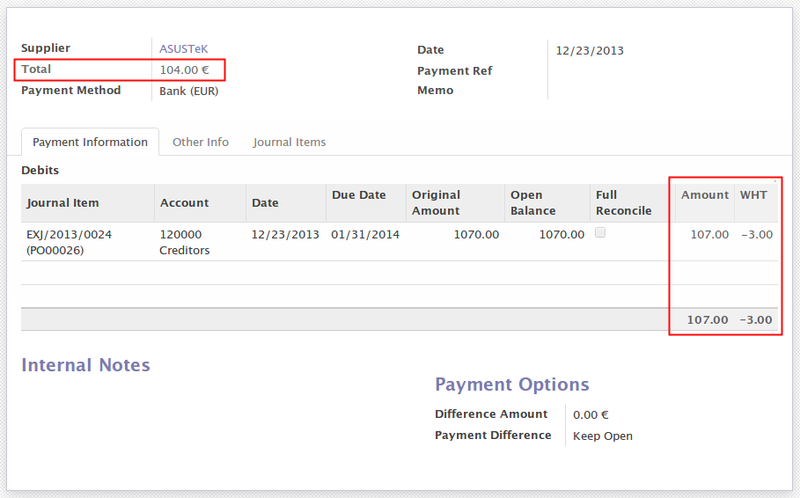 But again, Withholding Tax is not yet deducted in invoice. 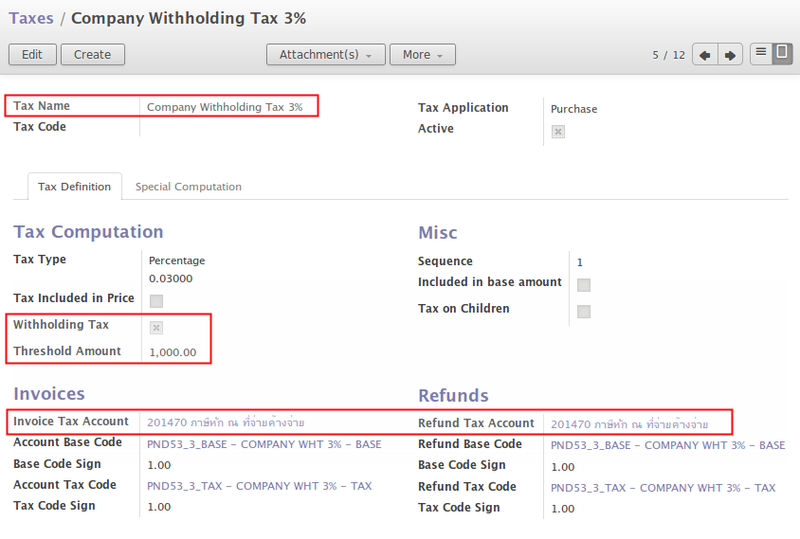 Withholding Tax is a very important feature when implement OpenERP in Thailand. That’s just the simply example but the same will apply for Sales Cycle, partial payment (and partial WHT) is also supported, account Posting will be done automatically. 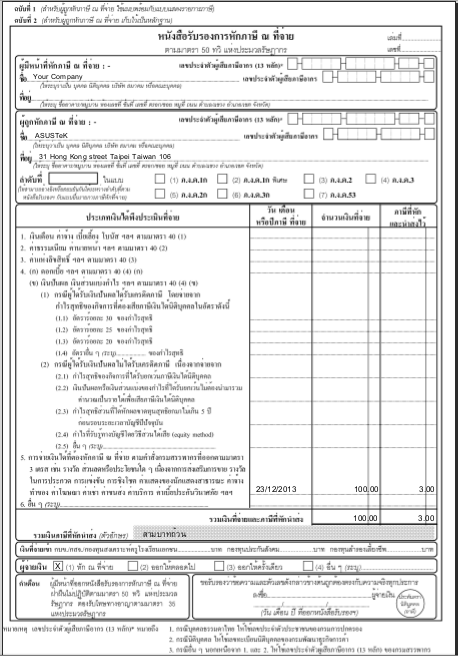 Finally we can print out the Withholding Tax Certificate (หนังสือรับรองหัก ณ. ที่จ่าย).